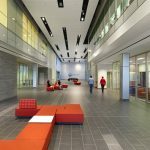 Now in its 23rd year, the Ceramics of Italy Tile Competition–the longest running award program of its kind–has announced six projects that wholly represent the competition’s goal of honouring commendable use of Italian tile in North American architecture and design. 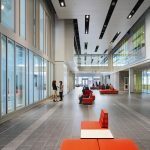 Two Canadian projects are among the winners. 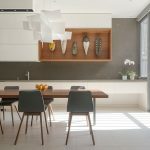 Sponsored by Confindustria Ceramica (the Italian Association of Ceramics) and the Italian Trade Commission, the competition attracted submissions in each of the three categories: residential, commercial and institutional. 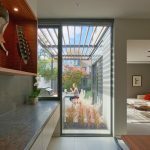 An international jury of design industry experts reviewed and evaluated the projects, ultimately selecting three winners and three honourable mentions among the steep competition. 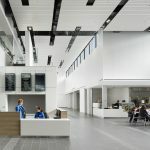 The jury made the selection under the following criteria: the creative and effective use of Italian tile, the overall quality of the installation, the aesthetic beauty and functionality of the design and the sustainable attributes of the overall project and materials used. 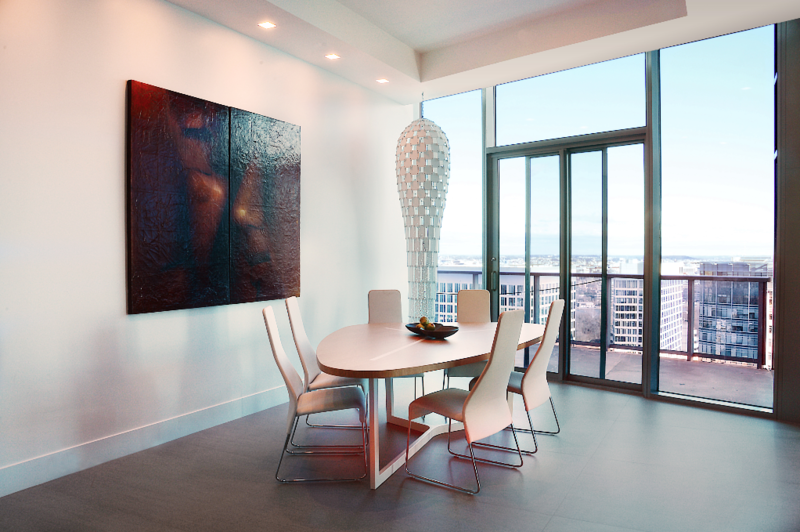 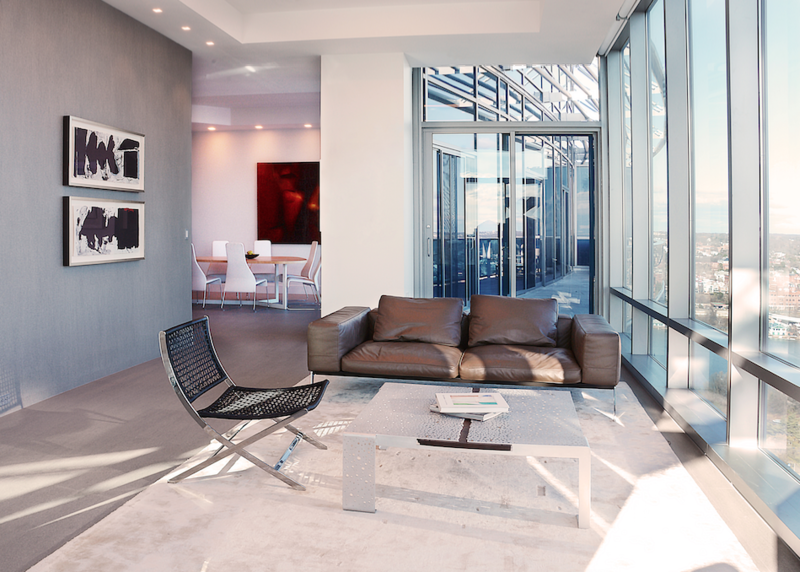 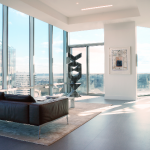 This penthouse condominium located in the heart of Rosslyn, VA was renovated to house Italian furniture and a small art collection. 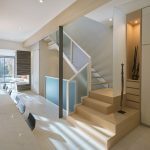 The project scope included a complete interior renovation of the bedroom, bathroom, kitchen and exterior balcony, as well as flooring and walls for all living spaces. 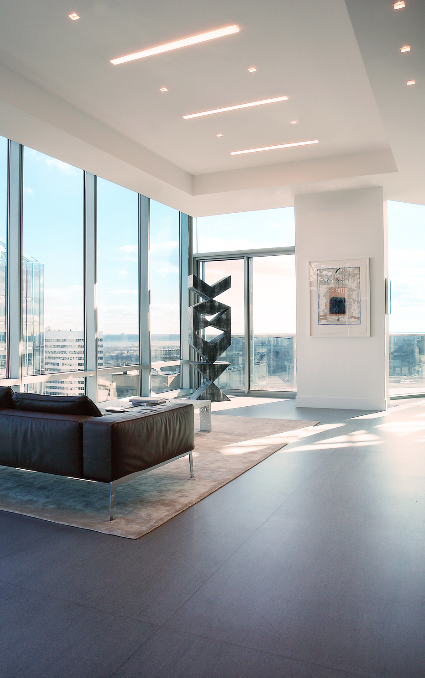 The architectural concept was to have large open spaces with big surfaces to complement the expansive floor plate and panoramic views of the Potomac River, Arlington, Key Bridge and Georgetown. 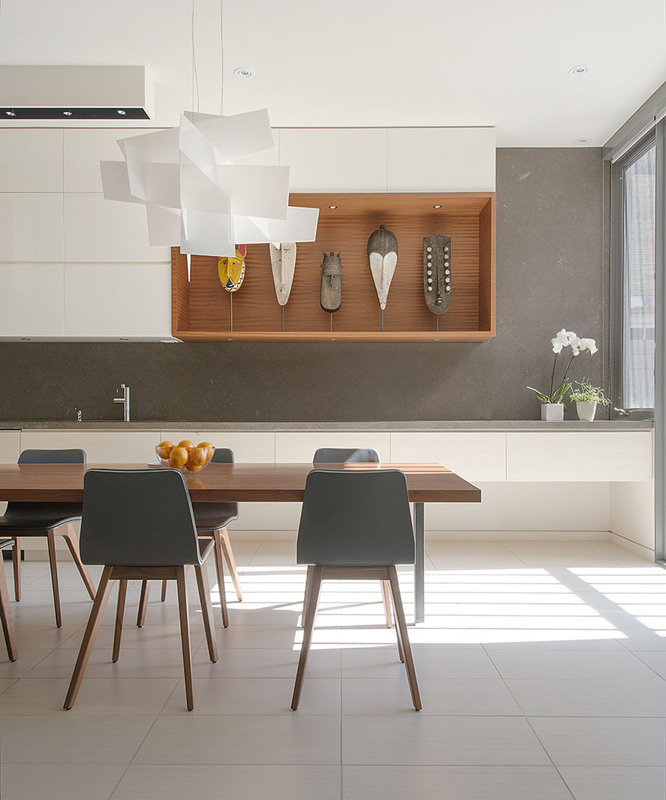 Lea Ceramiche‘s Slimtech Basaltina Stone Project porcelain tiles were installed throughout the project on all floors and walls to create a minimal look with a strong personality. 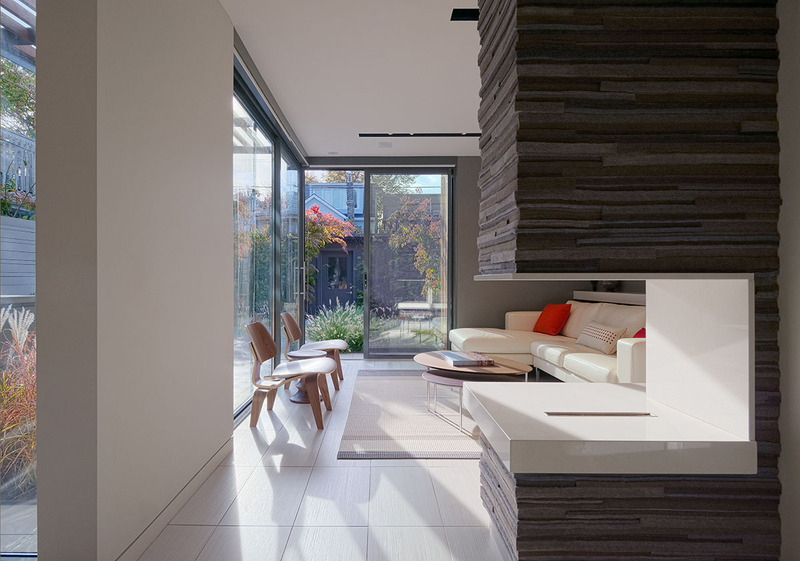 With minimal joints that almost disappear, the thin, large format tiles create a smooth, continuous surface that flow from interior to exterior, reinforcing the idea of an open loft space. 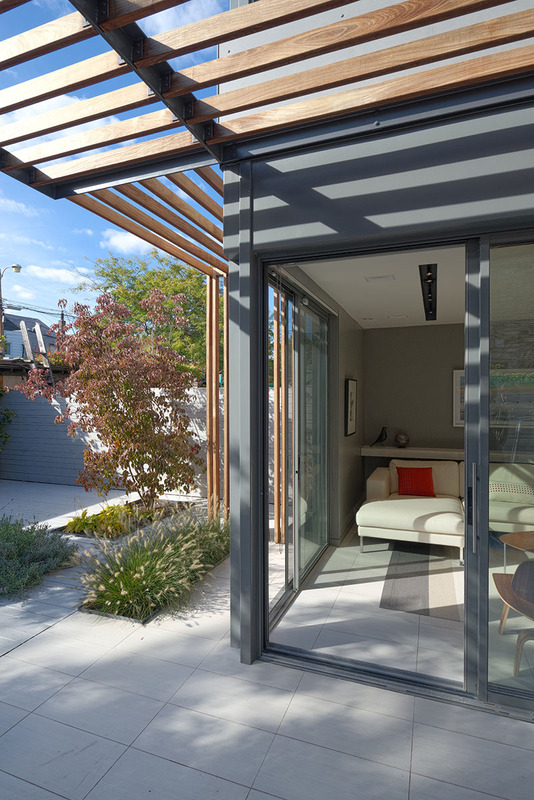 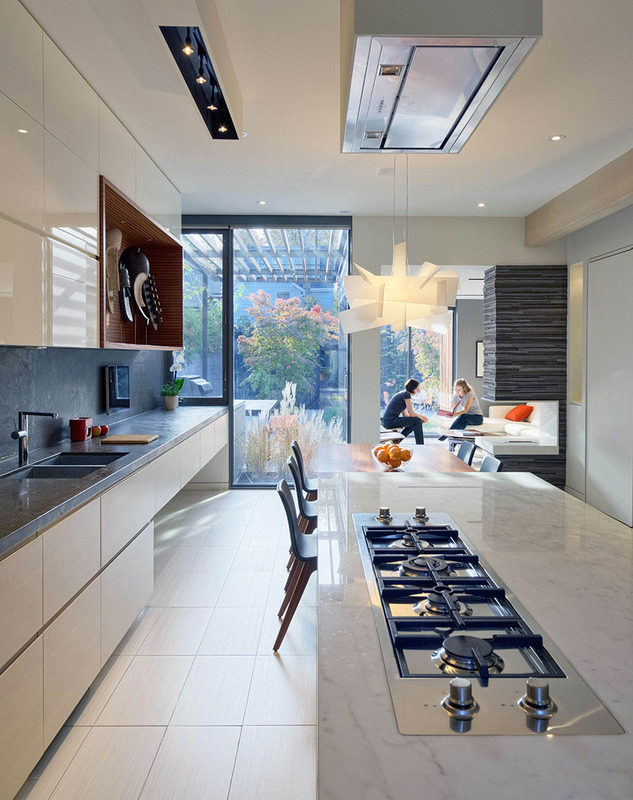 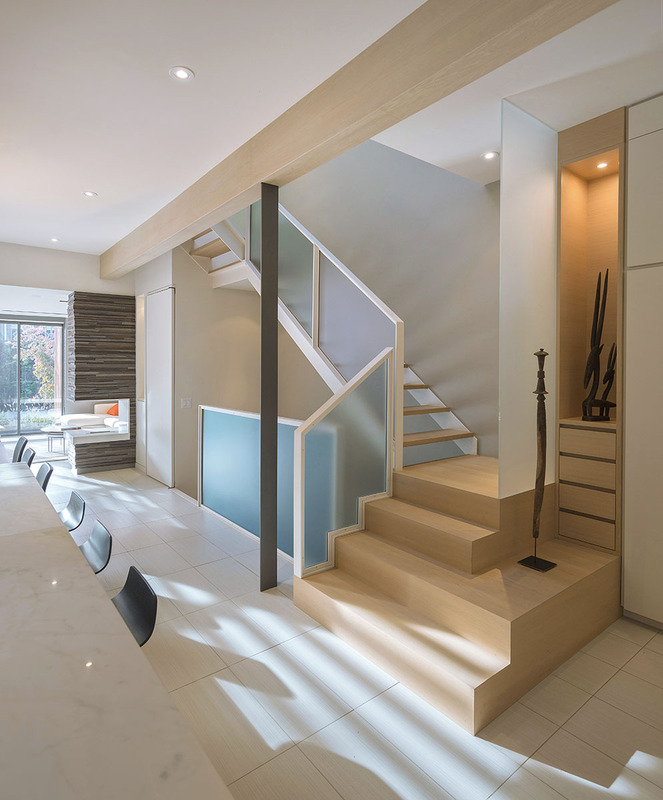 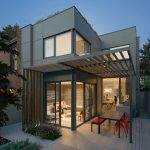 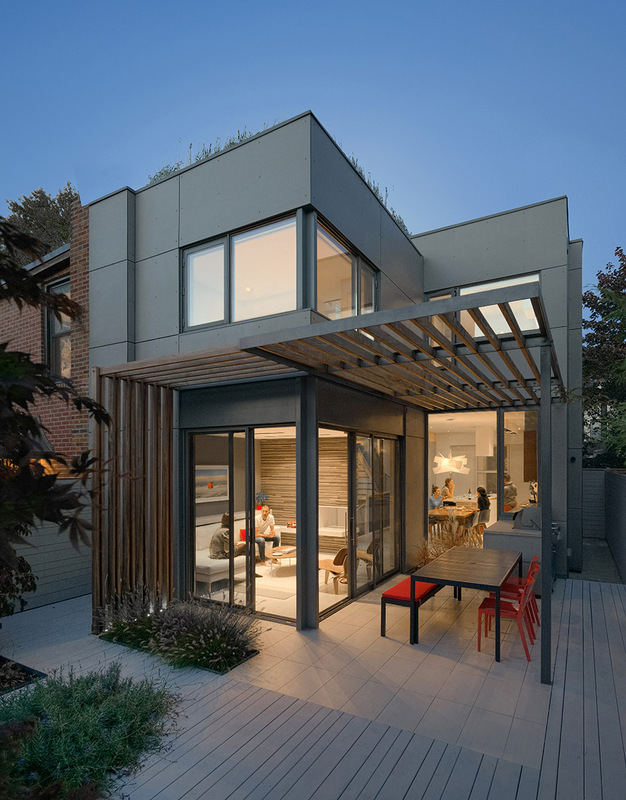 Situated on a narrow lot in a dense downtown neighbourhood, the renovation of this 1,450-square-foot residence aimed to expand the interior space without increasing the footprint of the house. 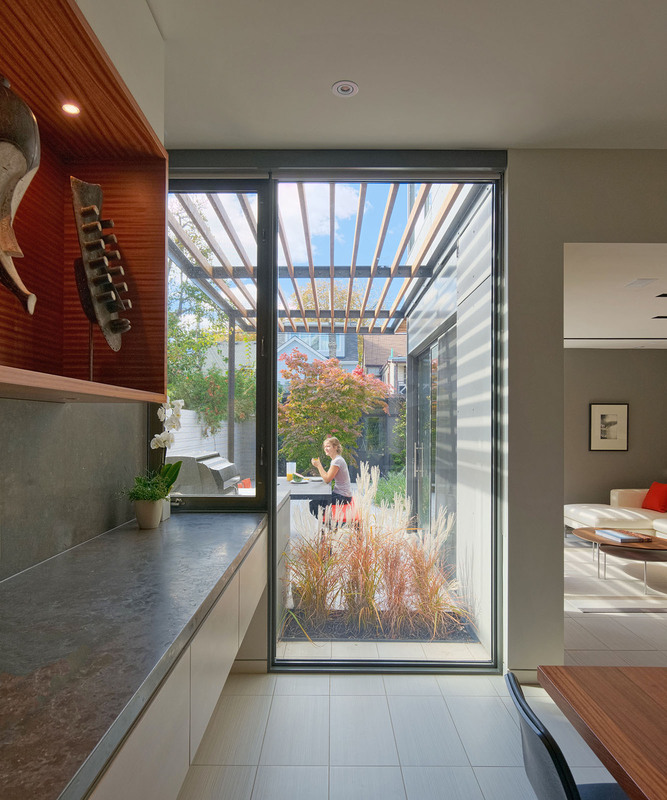 A powerful visual connection between the living space and the intimate backyard was created through an airy, open floor plan. 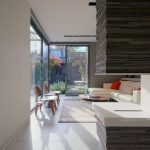 Casalgrande Padana’s Architecture collection–chosen specifically for its length and linear pattern–was used continuously from interior to exterior, creating the perception of an expanding space and directing the eye through the house towards the rear garden. 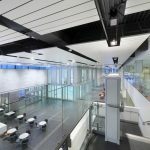 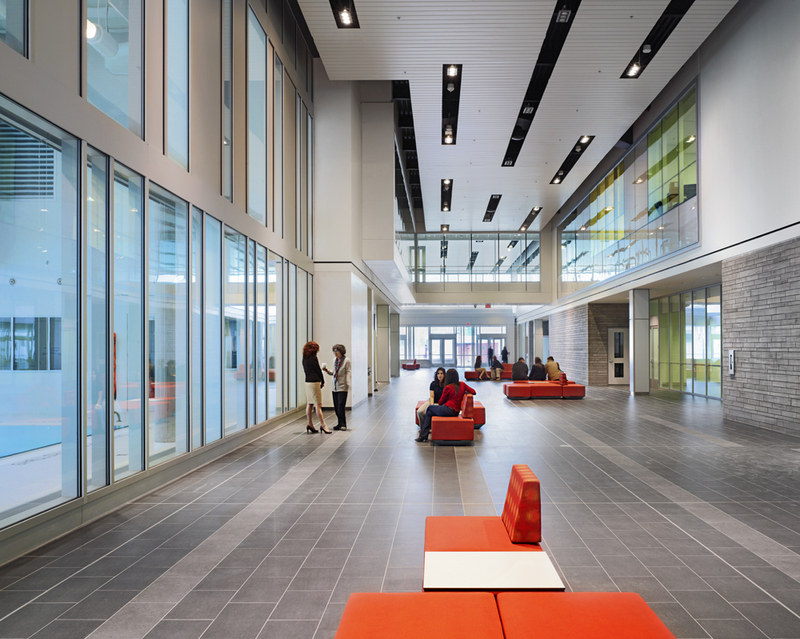 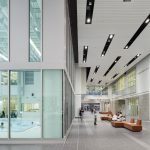 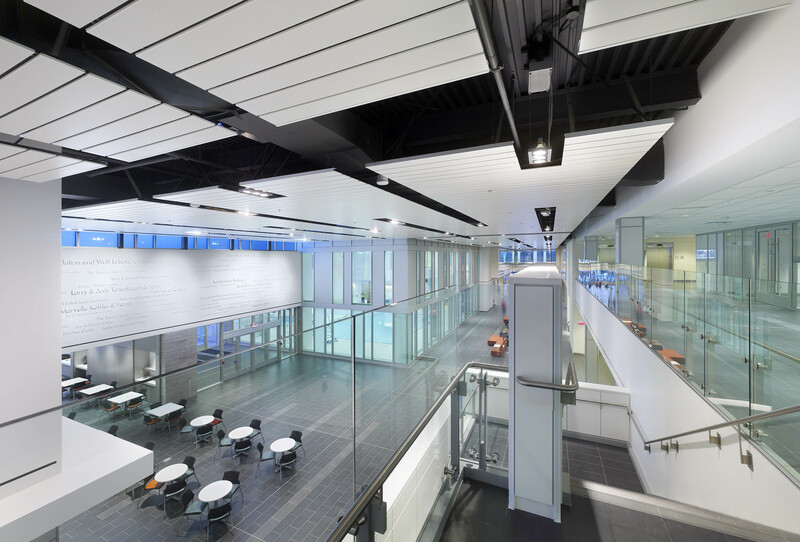 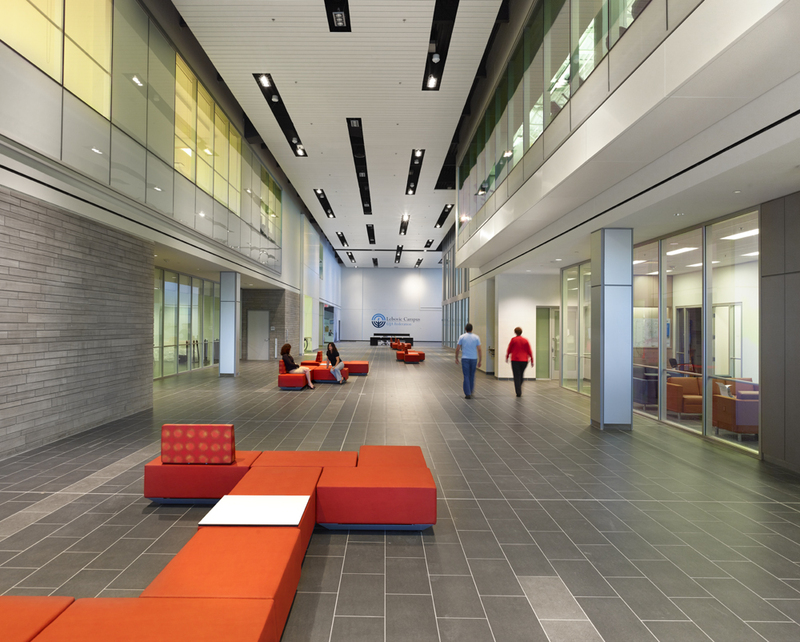 Exceptional sustainable details include passive cooling and natural ventilation in the summer combined with infloor radiant heating and thermal mass in the winter in order to maximize energy savings. 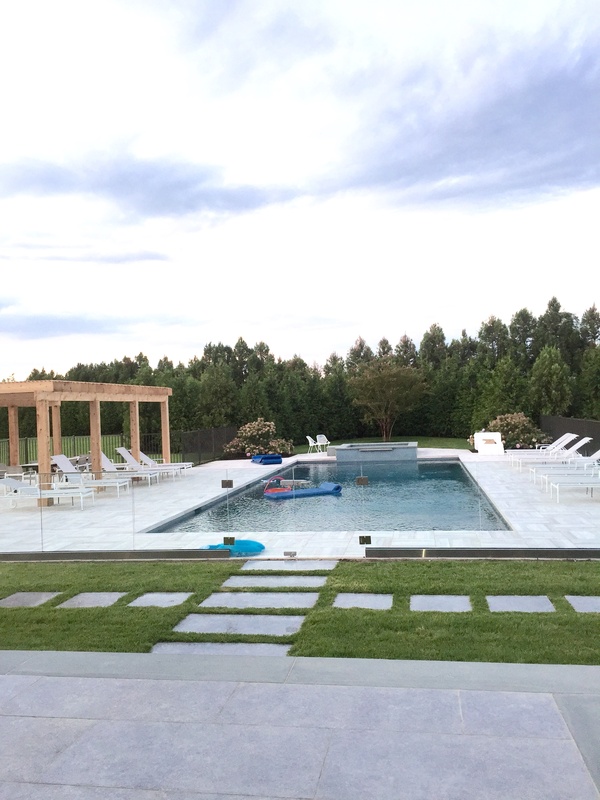 At this private residence in Bridgehampton, NY, three different Kronos Ceramiche 2-cm tiles were used around the pool and deck area as a beautiful yet durable outdoor design solution. 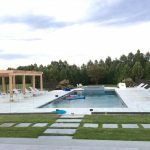 With sleek and sensual lines, the wood-look tiles from the Maple Doga 2.0 collection were installed around the pool and also as a 3” miter coping. 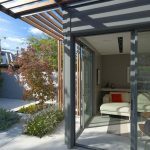 The Stone Alta collection was dispersed in two different sizes, used beautifully as grass stepping stones and integrated into the back deck for a stone border. 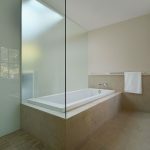 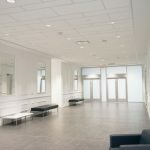 Contractor: Port Morris Tile & Marble Corp. 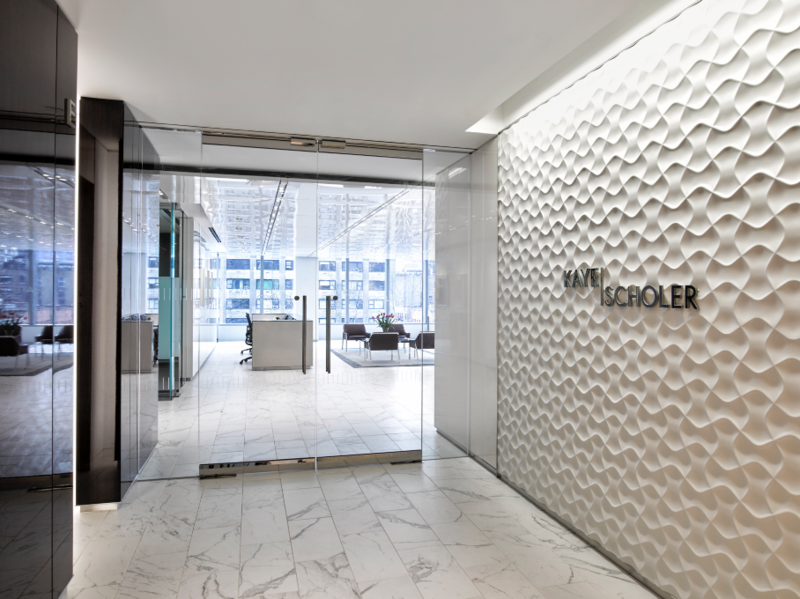 The goal for Kaye Scholer’s new headquarters was to reimagine the century-old law firm in a new location. 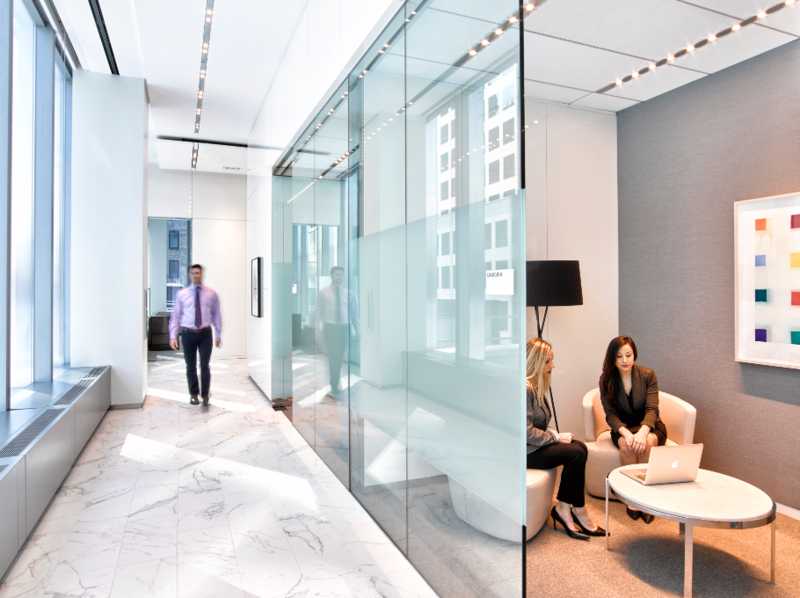 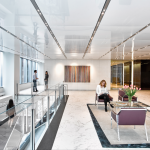 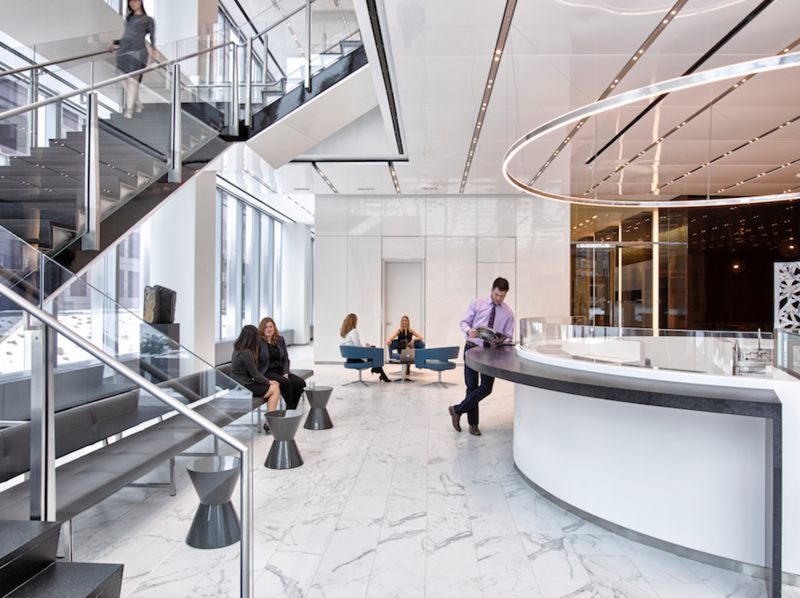 Gensler created sleek interiors and spacious ceilings that accentuate the firm’s diversity of legal services and global reach. 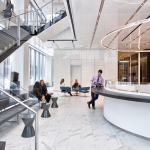 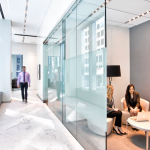 Additionally, the new space creates a welcoming environment for clients and friends of the firm and invests in the firm’s employees through modern amenities including a terrace, social and collaborative spaces, state-of-the-art technology, and exceptional food service. 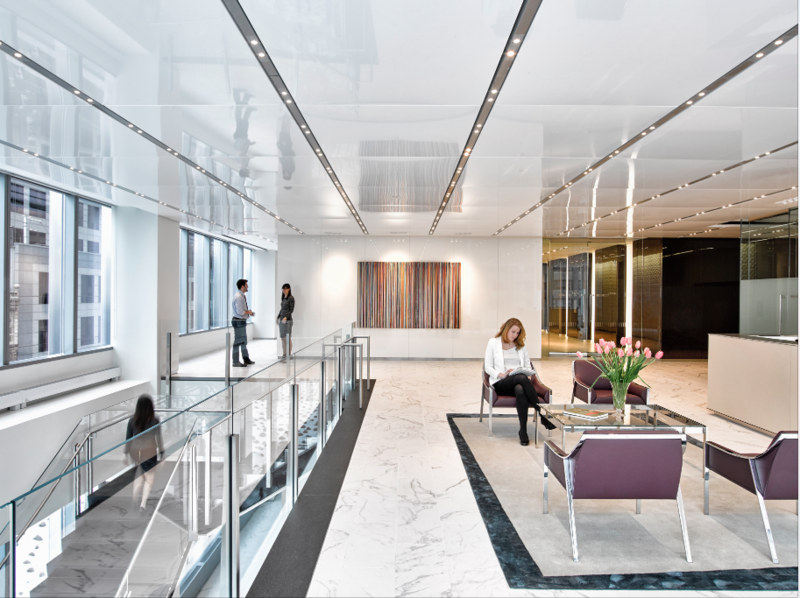 The Atlas Concorde Marvel collection in Calacatta Extra was used extensively throughout the project in the elevator lobbies, reception, conference centre and cafeteria. 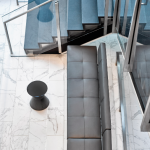 The cost-effectiveness of the tile allowed the design team to create large, continuous areas of tile flooring that emphasized the spacious public areas while resembling the luxurious characteristics of calacatta marble. 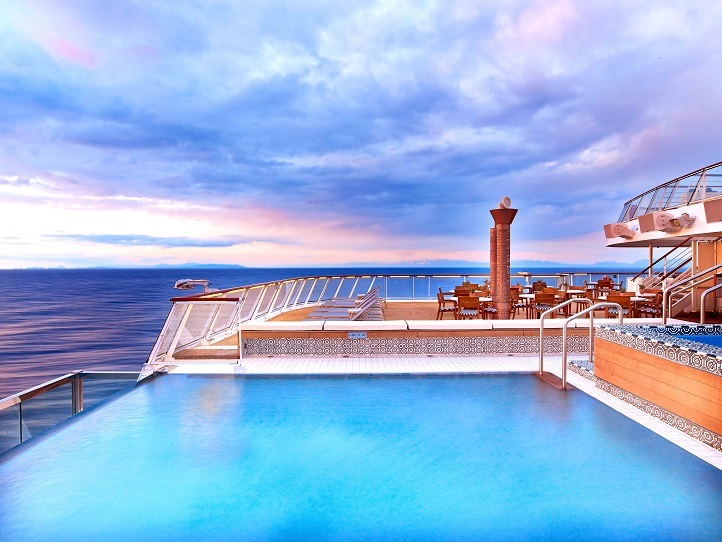 Location: Flag State: Bergen, Norway; Destinations: Worldwide. 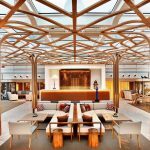 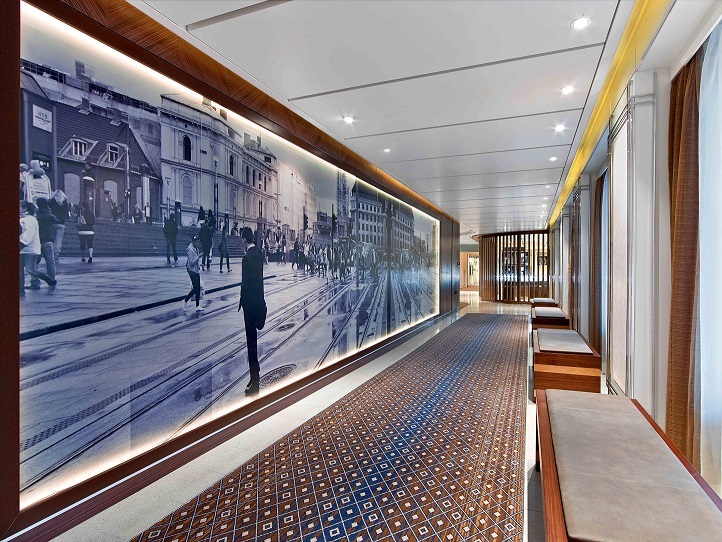 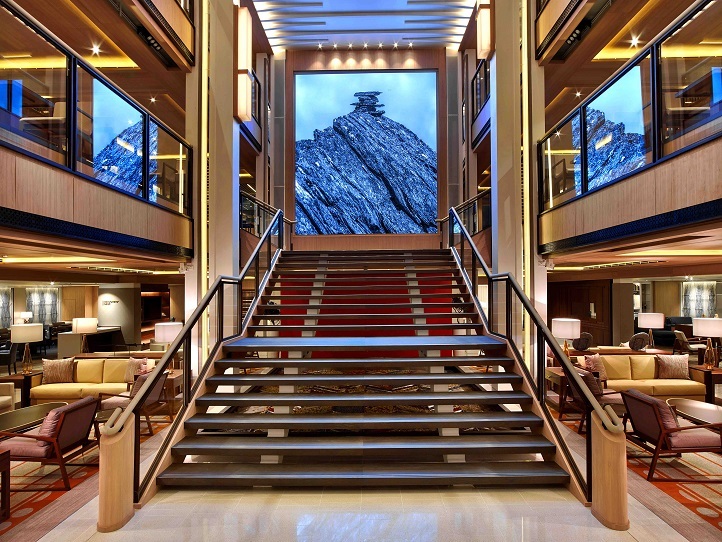 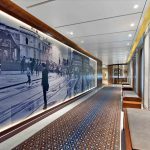 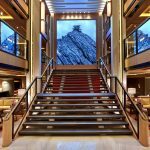 In creating a brand vision for Viking Ocean Cruises, Rottet Studio’s selection of Italian tiles not only helped the designers meet rather strict marine environment requirements, but were also offered in styles that helped reinforce their own design intents. 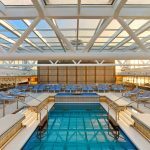 Needing to account for strict fire code, weight considerations and slip resistance, the tiles allowed for easy accommodation while keeping fluid design from space to space throughout the ship. 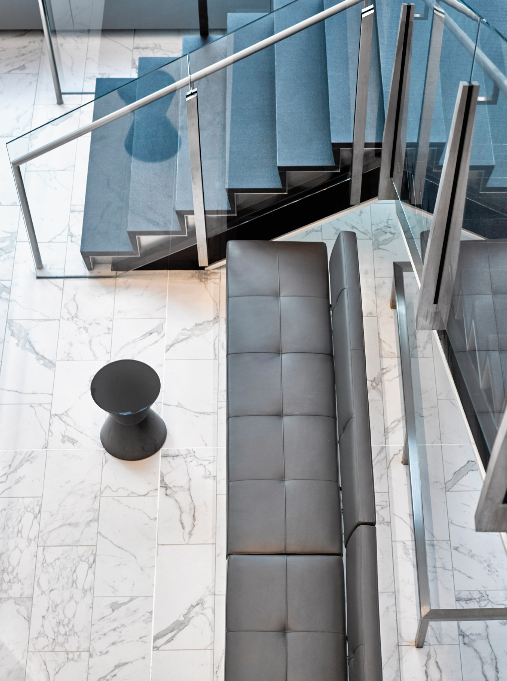 Rex tiles fill the vast atrium and walkways while a custom graphic tile produced by Lea Ceramiche depicts a scene from Oslo, creating a distinct narrative and ambiance. 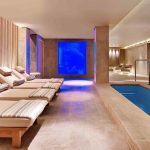 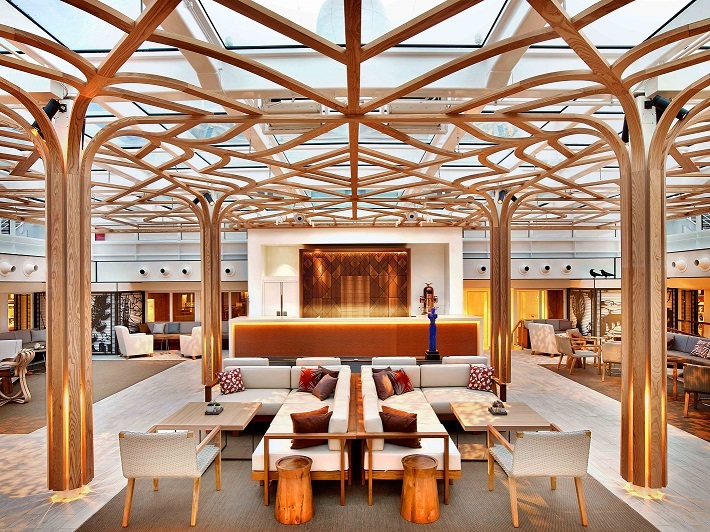 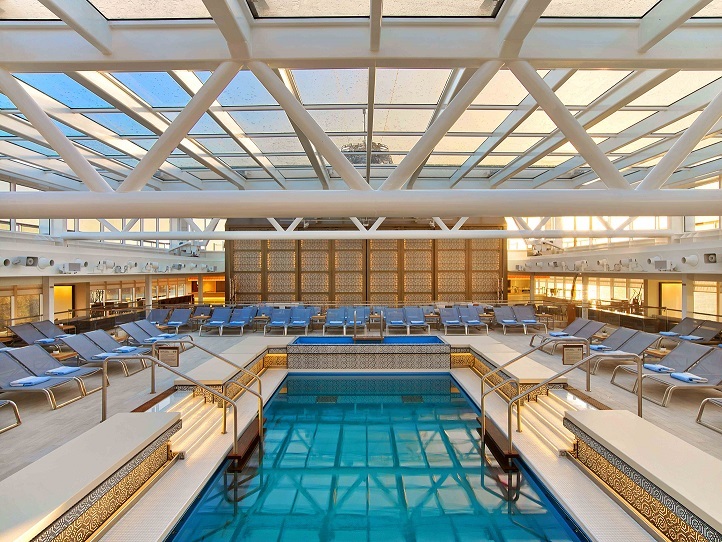 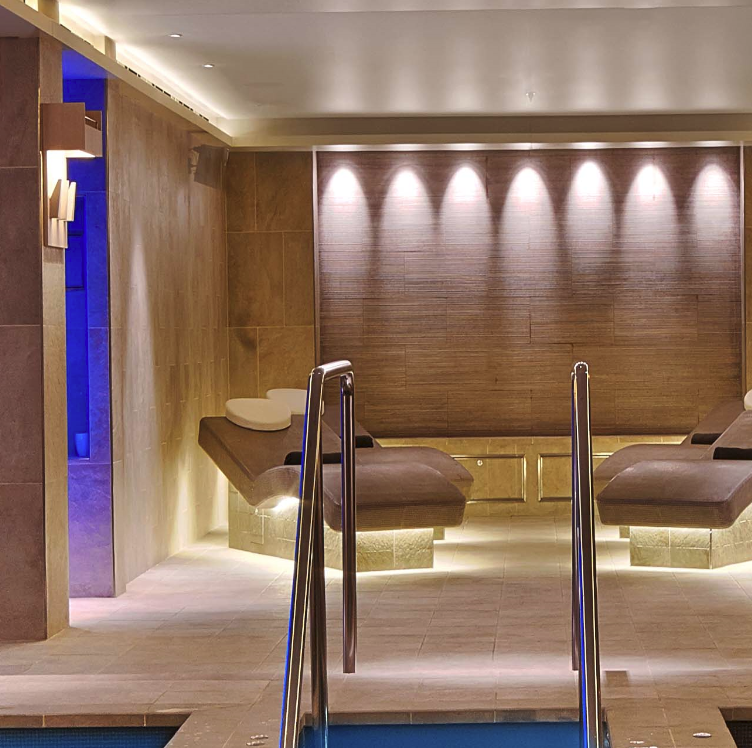 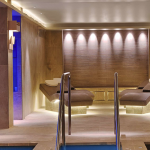 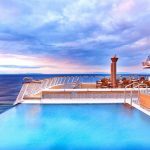 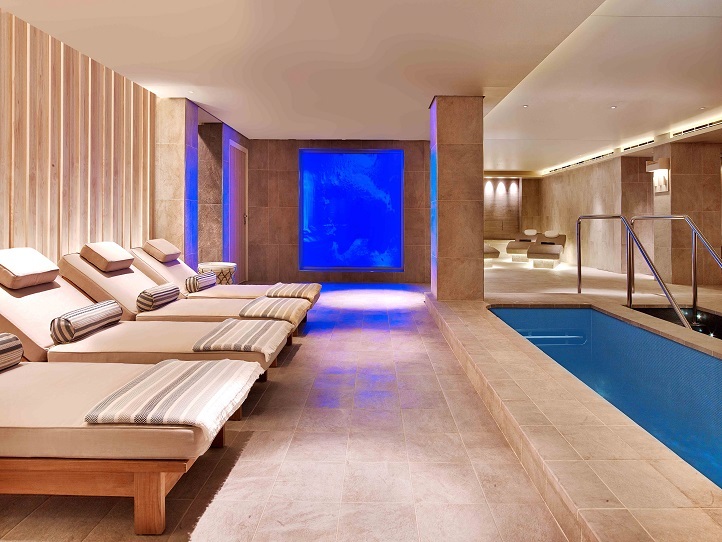 Additionally, both pools at the lido deck are accented with Mosaico+ mosaics that recall Norwegian patterning in a simplified way, thermal benches in the spa are finished with stone-look tiles from Caesar that lend warmth to the space, and bathrooms at each stateroom are clad in large format Laminam tile. 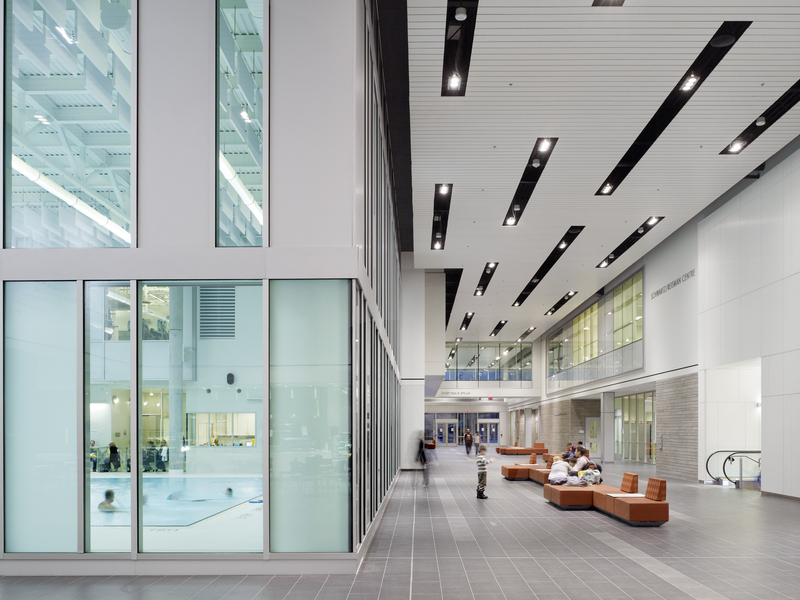 Located within a 50-acre community campus, the UJA Federation Community Complex integrates centers for multi-agency service, community health, early childhood education, conference gathering and meeting celebration, art and dance culture, aquatic fitness recreation and Holocaust remembrance. 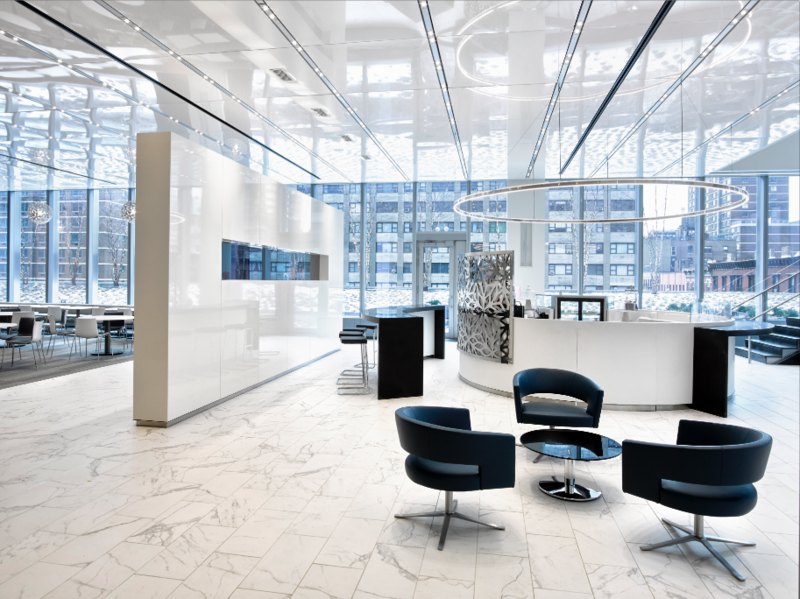 The Mirage Stones SO Series serves the profound role of extending the public realm into the building while offering a minimal and elegant surfacing solution. 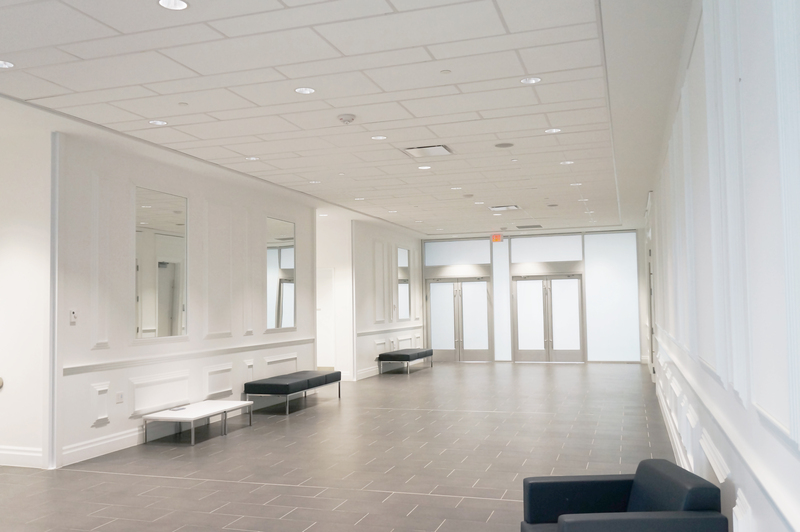 In terms of cultural identity, the tiles create a canvas for abstract ideas, expressing the ideals of Jewish community: charity, friendship, respect and beauty. 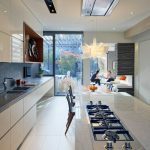 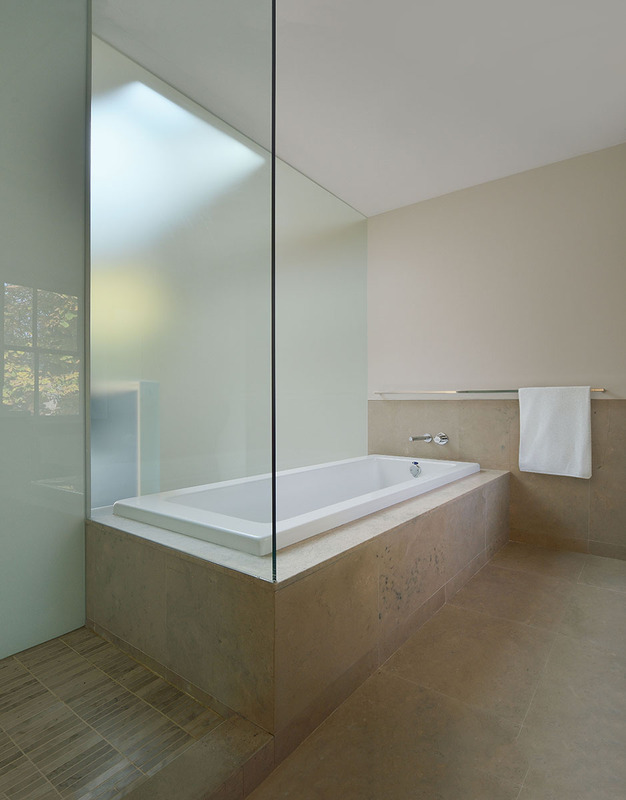 The dense porcelain tiles provide a practical, easily maintainable surface, both slip resistant and hardwearing.